Did you know that you may be eligible to receive a 10% tuition discount towards Northeastern’s Online MBA? The tuition discount is available to you as an employee based on your company’s partnership with Northeastern University. You may also be able to benefit from tuition reimbursement policies available at your company. Our world-class program can prepare you to make an immediate impact on important business challenges your organization faces today. 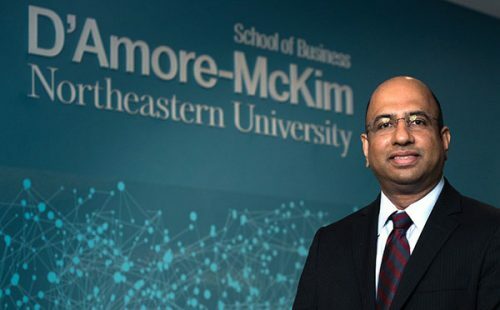 The D’Amore-McKim School of Business is accredited by AACSB International—the hallmark of excellence in management education. Simply fill out the form on this page to download program details and to get the conversation started with an enrollment advisor. We invite you to join hundreds of Northeastern Online MBA graduates who have capitalized on this corporate tuition discount opportunity.